Child abuse and neglect has been a major concern not only in the United States, but in countries across the world as well. According to the Center for Disease Control and Prevention (2009) nearly 900,000 children in the United States are maltreated every year. 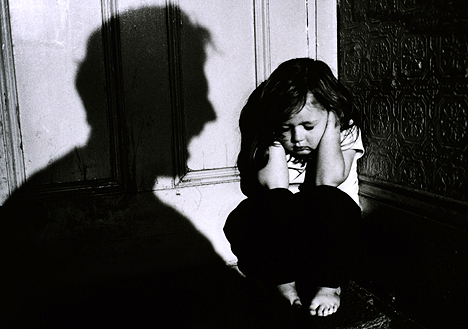 Child abuse is a broad spectrum which consists of physical, sexual, and emotional maltreatment of a child. According to the U.S. Department of Health & Human Services (2006), one-third of parents who were abused as children will also abuse their own children. This occurrence is often referred to as the cycle of abuse. However, the presence of risk and protective factors can be a determining factor in whether or not this cycle of abuse will continue from one generation to the next. Risk and protective factors can be child or parent related and can also be related to the child’s environment or family context. When taking into account risk and protective factors in child welfare, caseworkers often examine a number of dynamics related to the level of risk. First, the actual number of risk factors present is taken into account. Secondly, the extent of the risk is evaluated while taking into account the child’s age or developmental level as well as the child’s vulnerability. Once these factors have been examined, a safety decision is executed to ensure the child’s safety, permanency, and well-being (U.S. Department of Health and Human Services, 2006). Many organizations have taken the influence of risk and protective factors into account and have developed strategies to increase the positive protective factors in an effort to decrease child abuse and neglect. As a result of these increased efforts to raise awareness of child abuse and neglect, child abuse rates have been declining in the past decade (U.S. Department of Health and Human Services, 2006). Organizations such as the Center for the Study of Social Policy and the U.S. Department of Health and Human Services have developed programs that focus on early childhood development as well as treatment and prevention programs for abusive parents to address child maltreatment concerns within the United States. The child welfare system is made up of numerous agencies and organizations that work together to respond to and prevent child abuse and neglect. Child Protective Services, Preventive Services, Foster and Kinship Care, and other non-profit organizations are just a few of the common organizations that are focused on child welfare. The history of child welfare can be traced back to the 1960’s when child maltreatment became an observable issue which had been ignored in the past by doctors and mental health professionals who did not want to acknowledge the fact that child abuse was a problem. 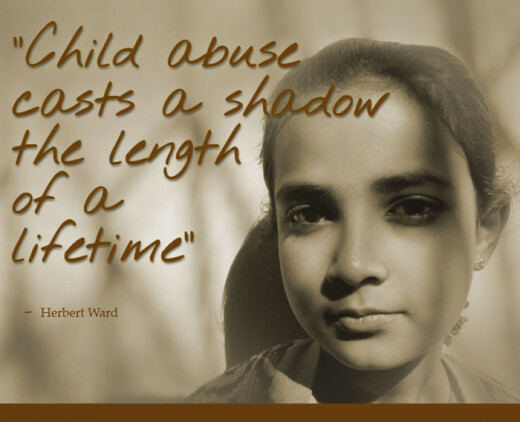 The first social portrayal of child abuse was in 1962 by Dr. Henry Kempe who published his work on “battered child syndrome,” providing descriptions of the medical aspects of child abuse. In this publication Dr. Kempe discussed over 300 cases of suspected child abuse or neglect based information gathered over time from emergency room visits. A recommendation was then made for an official reporting system to protect children who may be victims of abuse or neglect. As a result of Dr. Kepme’s efforts to increase awareness of child abuse and neglect, states started to develop systems and reporting laws for people to report suspected child maltreatment (Stagner & Lansing, 2009). Child maltreatment consists of numerous forms of abuse and neglect. Abuse can be physical, sexual, or emotional. Additionally, neglect is another form of maltreatment in which the child’s basic needs go unmet due to the parent’s unwillingness to ensure the child’s safety and well-being. Each form of maltreatment has its own repercussions on the child’s development. Physical abuse is when a parent or caregiver intentionally harms the child. This can include hitting, shaking, burning, or other forms of physical violence against the child. 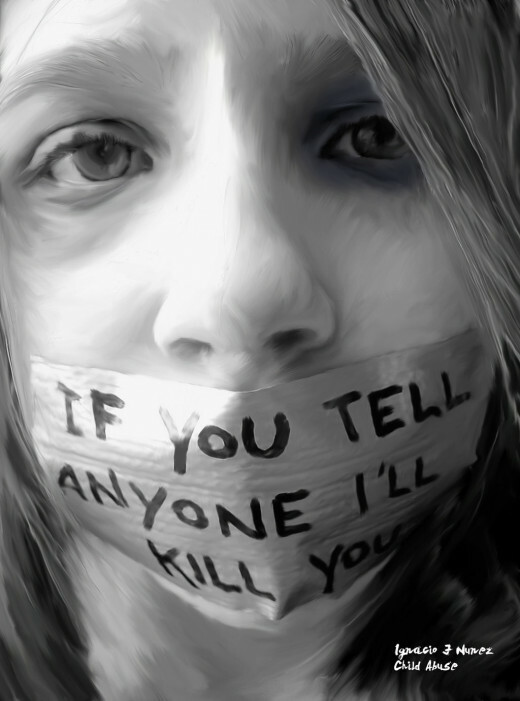 Sexual abuse is when a parent or caregiver engages the child in sexual acts or exposes the child to sexual activities. Emotional (or psychological) abuse occurs when a child’s sense of self is damaged by name calling, withholding love, rejecting, or threatening the child. Emotional abuse makes up six percent of child maltreatment cases and represents the smallest group of child maltreatment. 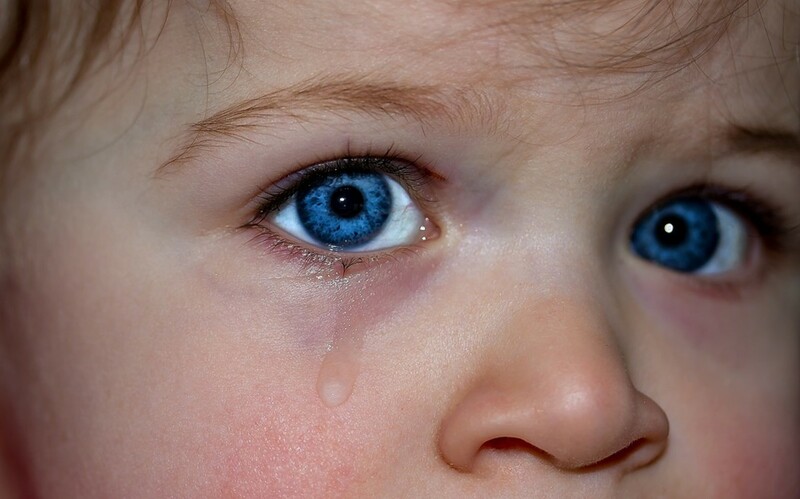 Neglect is the most prevalent form of child maltreatment making up forty-five percent. Physical abuse makes up twenty-five percent while sexual abuse accounts for sixteen percent (Kerig & Wenar, 2006). Child maltreatment is considered a public health problem by the Center for Disease Control and Prevention due to its prevalence and impact on society. In 2008, Child Protective Services found that nearly 772,000 children were victims of maltreatment. The Center for Disease Control and Prevention approaches child maltreatment in three steps. The first step is defining maltreatment in a consistent enough way so that it can be measured and detected. Secondly, risk and protective factors are identified so that effective programs can be developed to decrease risk factors. The third step is to test these strategies to determine if they are effective in decreasing risk factors based on prior research and data on child maltreatment (Center for Disease Control and Prevention, 2009). The presence of risk factors can increase the likelihood that child maltreatment will occur. The U.S. Department of Health and Human Services (2006) broke risk factors down to the following subcategories: situation, enduring, and underlying. Situational risk factors represent those factors that are temporary and are due to certain unexpected or short-term changes in normal family or environmental functioning. Enduring risk factors consist of long-term factors that remain constant, such as mental health diagnoses, unattached child-caregiver relationships, and chronic stress. Underlying risk factors include risk factors which are out of the control of the parent or caregiver, such as poverty, living in a violent neighborhood, or discrimination. Many parents who abuse or neglect their children are directed by the Department of Social Services to seek mental health and/or substance abuse services as a method of intervention. At times there may be underlying mental illnesses or substance abuse issues that may attribute to the parent’s abusiveness or neglect of the child. The U.S. Department of Health and Human Services (2006) states that, “Studies have found that caregivers with substance abuse problems are more likely to neglect their children continually and to be re-referred to CPS than caregivers who do not abuse substances.” Studies suggest that many families who find themselves involved with child protective services suffer from undiagnosed mental health issues as well. Due to this correlation, treatment programs often include mental health or substance abuse counseling (following an initial intake). According to Reder & Duncan (2000, pp.166), “substance abuse and psychiatric disorders affect parental behavior and lead to social and environmental situations that are physically harmful and detrimental to child development. A substantial number of child abuse-related fatalities have been attributed to parents who abused substances or had some type of psychiatric disorder.” Treating these mental illnesses or substance abuse problems helps to eliminate the situations that lead to child abuse by addressing the symptoms that may contribute to the abusive behavior. It is important to point out that mental illness in a parent does not always establish a cause for a concern; however, an elevated risk level is associated with parental mental illness in cases of child maltreatment. The mental health of the child can also be a risk factor. If a child suffers from a mental health disorder, such as ADHD, Conduct Disorder, or any other difficult disorder, it can increase the likelihood that the parent will abuse or neglect the child. Often when a child is diagnosed with a mental health disorder it can create higher stress levels within the family, increasing the risk of abuse. Many prevention and intervention programs are aimed at educating parents so that they can use effective non-physical discipline with their children. In cases that involve a child who has been diagnosed with a mental health disorder it is very important for the parent to know how to handle the child’s disorder and how to effectively parent that child while taking into account the dynamics involved in the child’s diagnosis. Some individuals lack social support systems and social networks that they can turn to for assistance or guidance. A study on social isolation found that parents who maltreat their children are more likely to experience frequent loneliness and isolation in comparison to parents who do not maltreat their children. Furthermore, they have smaller or nonexistent social networks. A lack of emotional support is also a significant factor. This lack of social support can lead to an overwhelmed and helpless parent who may be more likely to maltreat their child because they feel abandoned and alone and have no one to turn to for support and direction. The risk of child maltreatment occurring in a single parent home was considerably high, reaching a peak at eighty-seven percent. The U.S. Department of Health and Human Services (2006, para.24) concluded that, “Many factors may account for this. There is less time to accomplish the tasks of the household, including monitoring and spending time with children and earning sufficient money when there is only one parent or caregiver.” Due to the financial constraint in single parent homes the family is also more likely to live in poverty. The presence of a positive father (or even a positive father figure) decreased the chances that child maltreatment would occur. Having a father present in the home helps provide additional financial support for the children and the mother as well as emotional support and safety. Poverty itself does not necessarily mean that a parent will be more likely to neglect or abuse their children; however, when poverty is combined with other risk factors (i.e. substance abuse, mental health issues, and lack of resources) it does increase the risk that neglect or abuse will occur (U.S. Department of Health and Human Services, 2006). It is important to distinguish between inability and unwillingness (of the caregiver) to provide for the child’s needs. While the outcome is the same, the circumstances are quite different and are taken into account by the child welfare system. For example, if a parent is unable to provide food to meet their child’s nutritional needs because they cannot afford it, it would not be considered neglectful and the parent would be assigned service providers to help them identify community resources to help them meet their family’s needs. However, if the parent has the finances or knows of the resources that are available to meet these needs but does not utilize them, the parent would be guilty of neglect. A child who lives in a home where domestic violence occurs is more likely to be neglected. A study conducted by the U.S. Department of Health and Human Services (2006) discovered that in 35 percent of neglect cases, domestic violence was a factor in the home. Additionally, the likelihood that the abuser will also turn on the children is increased if there is a history of domestic violence. The victims of domestic violence may feel as though they cannot provide safety for their children or may be unwilling to do so, at which point it would become neglect due to the caregivers failure to protect the child from being harmed. Children who grow up in homes where domestic violence occurs may also experience long-term psychological damage as a result of witnessing the abuse between parents or caregivers, such as difficulty maintaining healthy relationships or becoming violent and aggressive themselves. Protective factors can derive from either the parent or the child. 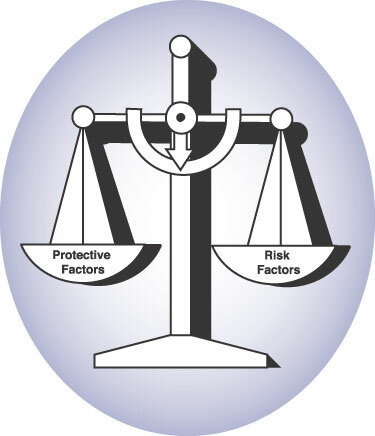 The U.S. Department of Health and Human Services (2006) categorizes protective factors as either enduring or underlying factors. Enduring factors can represent those factors that remain consistent, such as supportive relationships, effective coping mechanisms, and a good family environment. Underlying factors include financial stability, cultural and/or spiritual ties, and community resources. 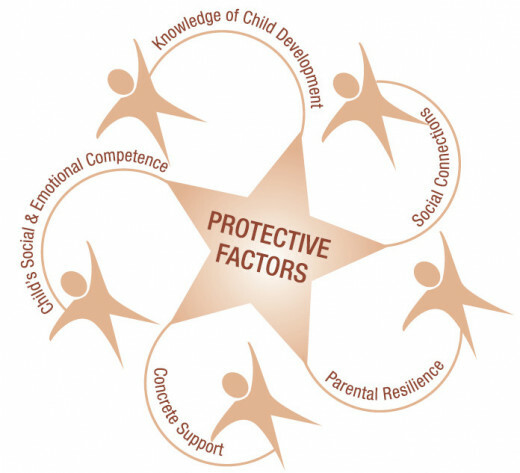 The presence of protective factors helps to decrease the chances of child maltreatment occurring, however the protective factors and risk factors in each family must be evaluated on a case-by-case basis and cannot be generalized. Treatment and prevention programs for child abuse are methods of intervention which are implemented in an effort to prevent removal of the child from his or her parents (and home) and prevent further abuse or neglect. A removal of a child into foster-care or kinship care may eventually end in either the return of the child to his/her parents or a Termination of Parental Rights (TPR) and the child may be placed for adoption. Ultimately, the goal of child welfare workers is to promote permanency, safety, and well-being for the child. If the treatment interventions do not ensure that these provisions have been met for the child, removal is inevitable. However, before a child is removed it is common practice for CPS or Preventive caseworkers to give the family a chance to make the necessary improvements to ensure that their child is not removed. This is done by enlisting the help of other agencies that can provide the family with services that are deemed beneficial for the family. This can include agencies that offer parenting education and home visiting, mental health services, and intensive in-home family preservation services. 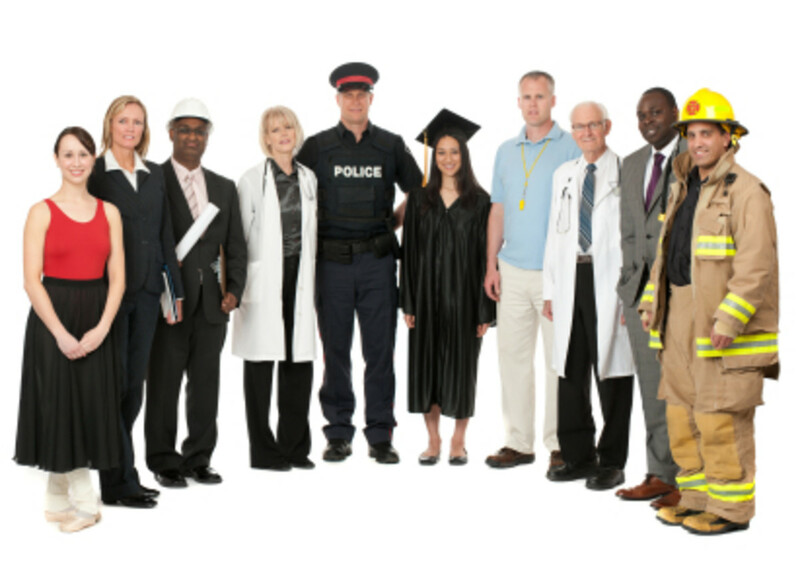 There are many agencies that are contracted by Departments of Social Services to provide such services to high-risk families. The goal of family preservation is to preserve the family unit by utilizing family-focused and community based services which help families develop effective coping strategies for stress or other issues that seem to interfere with their ability to ensure their child’s safety and well-being. Family preservation provides a multitude of resources and caters to each individual family’s specific needs. This can include support and education programs for parents, child and family screening and treatment, childcare opportunities, life skills training for children and young adults, and self-help groups and other community support systems (Horchak-Andino, 2003). Families that become involved in the child welfare system often do not know of the resources available to them, such as food pantries, community support programs, and financial aid for childcare. Connecting families to these beneficial resources helps eliminate some of the risk factors that are present in the family, thereby addressing the child abuse and/or neglect concerns and improving the overall environment. There are also many agencies available that offer parenting education for parents who are at risk of losing their children as a result of child abuse or neglect. The goal of parenting education is to provide support and services to the parent in an effort to help the parent develop the skills necessary to prevent further child abuse and neglect. Parenting education is the fundamental piece of the Child Abuse Prevention and Treatment Act and designates many grants that fund parenting education programs throughout the United States. The goal of agencies that offer parenting education is often to avoid out-of-home placement of the child, which is a difficult process for the entire family and is often traumatic for the child. These quality programs are meant to help strengthen the parent-child relationship and increase parenting skills to help reduce the likelihood of child abuse and neglect. Of all prevention and treatment programs, the most promising are those that focus on early intervention. This is likely because early identification of risk factors helps determine what services should be put in place to lessen the impact of existing risk factors on the family’s overall stress and coping mechanisms. The Healthy Families Alaska Program (an in-home family preservation program) was evaluated and it was discovered that this program helped reduce parental stress and improve the parents’ overall understanding of child development. This program focuses primarily on parenting education for parents with toddlers under the age of three. 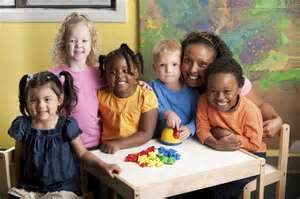 Early education programs such as the Healthy Families program help improve the home and family environment by focusing on parental resilience, social connections, knowledge of parenting and child development, and social and emotional competence for both the parent and the child (Stagner & Lansing, 2009). The Center for the Study of Social Policy (CSSP) conducted a two-year study on whether or not early education programs were an effective preventive measure for child abuse and neglect. Based on this study, the CSSP concluded that “the close relationship between the caregiver or teacher and parents of very young children, the daily opportunities for observation and learning…the relationship between early childhood programs and other resources for young parents, and the fact that parents come there as “empowered consumers” made this a promising universal strategy” (Center for the Study of Social Policy, 2008, p.1). Additionally, early education programs take a strengths based approach rather than focusing on the child’s or family’s deficits and risk level. Using the strengths based approach the CSSP put together a logical model focusing on the protective factors in child abuse and neglect, including: resiliency, social connections and supports, parenting knowledge and child development, and access to specialized services (Center for the Study of Social Policy, 2008). Programs that promote safe, stable, and nurturing relationships have proven to curb the rate of child abuse and neglect. A child who is considered safe is sheltered from physical or psychological harm, and when this safety is compromised the child is at risk of becoming abused or neglected. Children thrive when they have structure and organization in their lives, and a lack of these things creates instability in the child’s life. For a child, stability helps create a supportive and safe environment for them to thrive and develop. Nurturance is a major key in the parent-child relationship. Nurturance encompasses physical, emotional, and developmental needs of a child and the parent’s ability to meet these needs in a sensitive and caring manner. Nurturing relationships in the child’s life influence a child’s “capacity for learning, self-worth, social skills, and an understanding of important building blocks such as emotions, commitment, and morality” (The Center for Disease Control and Prevention, 2009, p.4). Risk and protective factors related to child abuse and neglect can consist of individual, relational, community, and societal factors. When protective factors outweigh the impact of risk factors the chances of abuse or neglect occurring are decreased, but in some cases the risk is too high and child maltreatment occurs despite the present protective factors. The growing concerns in the United States and in other countries about the welfare of children have motivated numerous agencies and organizations around the globe to develop programs to help increase the protective factors in an effort to prevent child abuse and neglect. These programs focus on early intervention and prevention treatment programs to help stop child maltreatment before it escalates. The steady decline in the number of child maltreatment cases in the United States is attributed to the efforts of these child welfare programs which prove to be making a significant difference in the lives of children and families across the country. As these programs continue to evolve and new methods of intervention and prevention are developed, it is promising that the child abuse and neglect rates will continue to drop. Be informed, educate yourself, and be active in the fight against child abuse! Spread awareness and concern for the children who don't have a voice! Horchak-Andino, K. (2003). Information Packet: Family Preservation and Preventive Programs- Alternatives to Foster Care Placement. National Resource Center for Foster Care & Permanency Planning. U.S. Department of Health & Human Services. (2006) Child Neglect: A guide for prevention, assessment, and intervention.